There are many controversial subject where things aren't always black and white, with a lot of gray areas. Often both sides may have ground to stand on. There is one thing though that in my mind is very clearly dangerous to you and your children and unfortunately, as is often the case, our government is doing little to nothing to protect you. Fluoride has always been in the news, and we will see more of it. Meanwhile, as a mother or mom-to-be, it is in your best interest to be knowledgeable and informed on such an important subject. This is a short summary of facts and studies that will help you determine whether fluoride supplementation is right for your kids, whether you even want fluoride in your water, and reasons why you may want to consider fluoride free toothpaste - especially for your children. 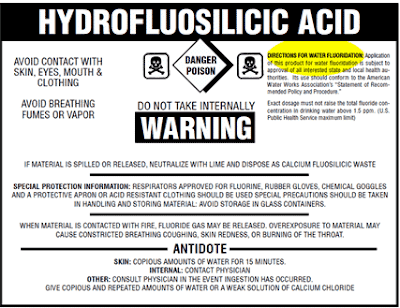 Ninety percent of fluoride added to drinking water is hydrofluoric acid (see warning label below), a compound of fluorine that is a chemical byproduct of aluminum, steel, phosphate, cement, and nuclear weapons manufacturing (man made fluoride with no nutritional value). A study in India published in Current Science in 2010 found that anemia was reduced and pre-term and low-birth-weight babies were considerably fewer in the fluoride avoidance group of women. With skyrocketing premature baby rate in the U.S., this is definitely something to consider. The American Medical Association states that no studies were ever done on water fluoridation side effects. The National Institute of Dental Research conducted a nationwide survey that demonstrated no relation between tooth decay rates and fluoridation (comparing 84 areas, of which 28 had been fluoridated for 17 years or more, 29 had never been fluoridated, and 27 had been only partially fluoridates or fluoridates for less than 17 years). The lowest tooth decay rate reported in the survey occurred in a non-fluoridated area. Study published in Environmental Health News showed lower IQ scores and growth in Chinese children with high concentrations of fluoride in their well water compared to those with low fluoride exposure. There are about 24 studies that show association between fluoride exposure and reduced IQ. The EPA's maximum limit for fluoride in food does not consider children's over exposure to fluoride. 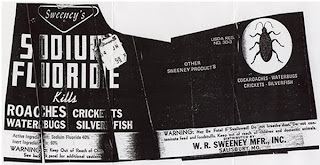 At the request of Dow AgroSciences (that markets sulfuryl fluoride as a post-harvesting fumigant for food processing and storage facilities) it raised the limits. Standards regarding the optimal levels of fluoride were developed based in epidemiological data collected more than 50 years ago and the ethics of forced medication of population are questionable. National Toxicology Program toxicology and carcinogenesis studies of sodium fluoride in rats and mice found some carcinogenic activity, lesions relating to fluorosis, and osteosclerosis of long bones. 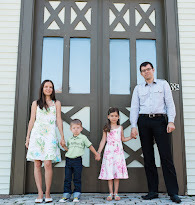 With a toddler who has dental fluorosis, this issue hits close to home. Her beautiful smile isn't exactly pretty with yellow spots on the front teeth. There is really no reason for those spots to be there other than fluoride over-exposure. Our town does not fluoridate the water as far as I know, so it is possible she is exposed to it in excess in food and the environment. For more information visit the Fluoride Action Network. Nice post we all love to eat and drink healthy but its too bad that u cant get anywhere good post to read about it. Keep it! Good post!Eat healthy and live healthy.Thanks for sharing the post the points mentioned are really good.